 16th September 2016, New York –Three Nobel Peace Prize Winners Shirin Ebadi, Tawakkol Karman, and Leymah Gbowee, who took part in the recent annual World Summit of Nobel Peace Laureates, were at the UN today to attend the International Day of Peace celebrations. 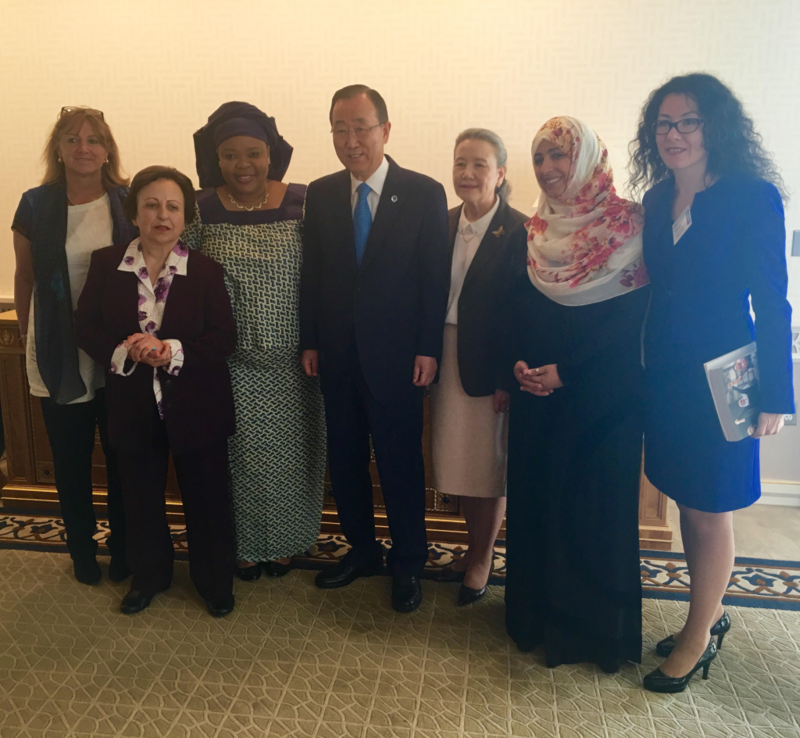 The Secretary General Ban Ki-moon was accompanied by these three heroic Nobel women who sent an important message of peace to the world. The delegation also included Ekaterina Zagladina, President of the Permanent Secretariat of the World Summit of Nobel Peace Laureates and organizer of the most renown international gathering in the field of peace-making and peace-education and Monica Greiff, the President of the Chamber of Commerce of Bogotà. At the opening ceremony, the UN Secretary General Ban Ki-moon said “I look forward to visiting Colombia on the 26th September for the signing of the historic peace agreement between the government and the revolutionary armed forces of Colombia people’s army. I pledge the full support of the United Nations for this hard one agreement, which I hope will inspire others around the world to end conflicts through diplomacy and the action rather than violence”. On that occasion, Zagladina announced that Bogotá has been chosen to host the 16th World Summit of Nobel Peace Laureates. The 16th Summit will take place for the first time in Latin America, in Bogota, Colombia. The list of attendants along with the subject of the Summit will be revealed before the end of the year. Several Nobel Peace Laureates voted and chose Colombia for the next Summit’s edition, a country that more than ever needs advocates of peace, human rights activists, and experts of negotiations. The President of the Chamber of Commerce of Bogotá, Mónica De Greiff said “we are very happy and honored to be appointed as the host city for the 16th World Summit of Nobel Peace Laureates. The Chamber, as a representative actor of civil society in Bogota and Colombia, is well aware that the country is living a historic moment. We are putting to an end a 50-year-old armed confrontation by the means of dialogue and negotiation. This peace agreement brings hope not only to Colombians, but also to the entire world. We want to share our joy and our long term commitment to build a sustainable peace with all of the friends of Colombia”.